I needed a distraction to settle my mind, so what better way than to just doodle aimlessly, right? Since my latest Congo inspiration was flowers, I thought to continue drawing plants and nature and to think outside of the boxes and lines. This started out as a flower – see that in the middle? 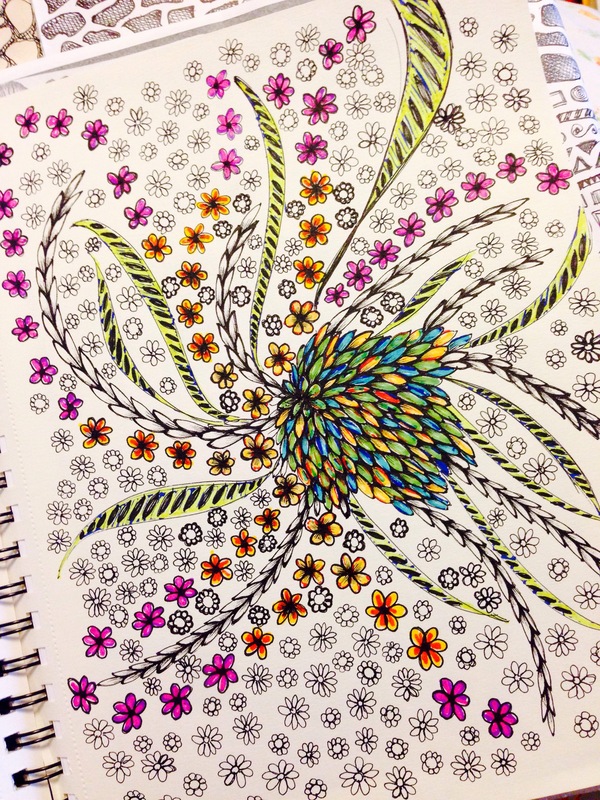 A seven-petaled flower that I didn’t like, so I just continued to draw petals. It started to look like a bushel of bananas, specially after I added shades here and there. Oh well … I continued on.